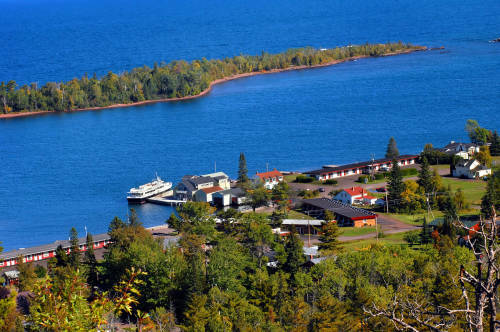 Isle Royale is full of activities for the outdoor enthusiasts such as hiking, backpacking, and boating of any kind. Don't forget to take along your camera for capturing the stunning images that await you in and around the crystal clear blue waters of Lake Superior. Offering 60 Lakeside Lodge Rooms/Suites and 20 Cottages the Rock Harbor Lodge is a great place to relax and watch the waves crash on the shore or take a stroll along one of the many hiking trails to one of the inland lakes. Up for a little adventure? Visit the marina's dockside store, rent a boat or canoe, even take a guided fishing or sightseeing tour...you'll find plenty of activities to keep your adventure going!